…He gave them a new way to deal with offenders – by forgiving them. He gave them a new way to deal with violence – by suffering. He gave them a new way to deal with money – by sharing it. He gave them a new way to deal with problems of leadership – by drawing on the gift of every member, even the most humble. He gave them a new way to deal with a corrupt society – by building a new order, not making the old. He gave them a new pattern of relationships between man and woman, between parent and child, between master and slave, in which was made concrete a radical new vision of what it means to be a human person. Rosie Harper – Vicar, Chair of the Oxford Nandyal Education Foundation, writer and activist on issues of justice and equality within and beyond the church. And finally, Catalyst Live 2018 is hosted by Mark Woods – consulting editor of the Methodist recorder, author, commentator and very good friend of BMS! Three years ago (2015), the then Prime Minister wrote an article for Premier Christianity magazine, giving, as it were, his Easter message to the Christians of the UK. This is definitely a step up from the “We don’t do God” politics of the Blair/Campbell era of the late 1990’s, and this in spite of the viscous rhetoric of the so-called “New Atheists,” particularly since the 9-11 attacks, Cameron’s willingness to advance a smarter politics by engaging the UK’s Christians. That is to be commended, but. I’m just suspicious of it all never-the-less. At least the UK lad and ladette culture of rampantly secular and materialistic 1990’s meant that senior politicians would never get away with a nod to the UK’s diminishing religious groups. It was open season on those silly people of faith. However, what Cameron said was of a generally sufficient vagueness that might fool some of the people some of the time, but not me . . . three years after the event! Where the kids have seen things they should never have seen. About a bloody game, they call the holy war. Heaven is my home and they’ll be no shame. Where the kids have seen things that we never have seen. About a bloody King who won the holy war. Heaven is my home and they’ll be no refugees. “If you get to the place as an individual in a family or in leadership in a local church, you get to the place where the Gospel is that which is assumed, but which you’re not particularly excited about, the next generation puts the Gospel to one side. It assumes it too but doesn’t really care. The generation after that loses the Gospel. Any departure from the Gospel is, of course, a catastrophic mistake more serious than if the escaping Israelites had set up home in the middle of the parted waters as they escaped the despotic Pharoah. Many churches have “set up home” in the place where they are still being redeemed, because they have assumed the Gospel, they have fallen for the perennial danger; they have cuddled the wolf thinking it is a lamb. This leads inevitably to a fossilising of corporate church life and of personal devotional life. That is how the theological wolves pacify the churches today. Institutional monotony is as alive and well in decaying Catholic churches as well as so-called charismatic-evangelical churches. Give us a baby in a manger any day but do not give us the Christ who walks on water or wakes the dead!” The Gospel obviously gives both – and shows that the baby doesn’t stay in the manger because he likewise doesn’t stay in the boat….or the grave for that matter. A water-walking, dead-rising Messiah is a Messiah we can’t control, and the moment we have controlled him…..it’s not Him but another sentimental Hymn of slogans (this is the point to say that a truly great hymn can be reduced to sentimental sloganeering no less than a soppy bad hymn – it is the culture in which it is sung that makes the difference). If it is a culture of Gospelised content, then wonderful. But if not, then it is noise and wind! I have quoted it in full here, and it is a brilliant reminder of the things that are of first importance. Our cognitive displacement is, I think, part of our tendency to sloganeer words rather than live with their reality and depth. In other words, actual biblical content has been displaced in favour of mere words that are biblical but function as religious slogans. This happens in our worship, mission, evangelism and devotions. Often, what we think is Christianity is a parody, a shadow a pale reflection. The Gospel, and all its content and entailments is biblical Christianity. An assumed Gospel is a sloganeered Gospel, empty of power, depth and meaning – and who wants that? Not me! And we say this because we love the church. And we love the church because Jesus loves the church. It once occurred to a certain king that if he always knew the right time to begin everything; if he knew who were the right people to listen to, and whom to avoid; and, above all, if he always knew what was the most important thing to do, he would never fail in anything he might undertake. And this thought having occurred to him, he had it proclaimed throughout his kingdom that he would give a great reward to anyone who would teach him what was the right time for every action, and who were the most necessary people, and how he might know what was the most important thing to do. In reply to the first question, some said that to know the right time for every action, one must draw up in advance a table of days, months, and years, and must live strictly according to it. Only thus, said they, could everything be done at its proper time. Others declared that it was impossible to decide beforehand the right time for every action, but that, not letting oneself be absorbed in idle pastimes, one should always attend to all that was going on, and then do what was most needful. Others, again, said that however attentive the king might be to what was going on, it was impossible for one man to decide correctly the right time for every action, but that he should have a council of wise men who would help him to fix the proper time for everything. I came across this brilliant piece in Michael Bird’s Evangelical Theology, an excellent tome in its own right, and one I have mentioned before on this blog, here, here and here. 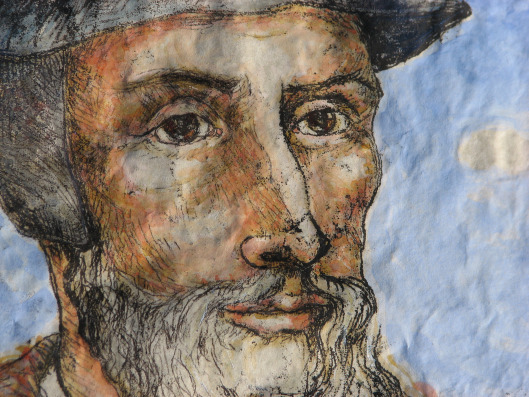 Without the Gospel was penned by John Calvin as a preface to Pierre Robert Olivétan’s 1534 translation of the New Testament. I’ve used it in communion services a couple of times, and I hope you can find a way to use it too, it is simply, simply brilliant. and all the justice of man is under the condemnation of God. It is the power of God for the salvation of all those who believe. It follows that every good thing we could think or desire is to be found in this same Jesus Christ alone. For all these things which were to be the weapons of the devil in his battle against us, and the sting of death to pierce us, are turned for us into exercises which we can turn to our profit. If we are able to boast with the apostle, saying, O hell, where is thy victory? O death, where is thy sting? it is because by the Spirit of Christ promised to the elect, we live no longer, but Christ lives in us; and we are by the same Spirit seated among those who are in heaven, so that for us the world is no more, even while our conversation is in it; but we are content in all things, whether country, place, condition, clothing, meat, and all such things. This is what we should in short seek in the whole of Scripture: truly to know Jesus Christ, and the infinite riches that are comprised in him and are offered to us by him from God the Father. What follows is Playwright Matthew Hurt’s journey towards writing the play ‘The Man Jesus.’ It is still touring the UK and ends on 4th November in Oxford. You can visit the website here to see where else it is playing. 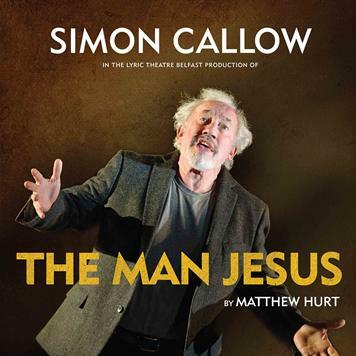 The play itself was very good indeed, and I think Hurt’s own account below is very good, even though I will disagree with him that in finding the man Jesus, he does ignore both his deity and his salvific death to quite a considerable degree. The play is still worth seeing, and Simon Callow as multiple eye-witnesses is pure class. “It was my grandmothers who first introduced me to the figure of Jesus. Their Jesuses were as different as they were. 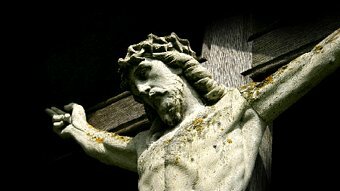 My French-Mauitian grand-mere’s Jesus was a figure I only ever saw at a distance; in churches full of oily mahogany and oriental incense, his skin painted porcelain, with pink bruises and maroon blood. Always bleeding, always on a cross. My other grandmother’s Jesus lived in the leaflets and Bibles that Jehovah’s Witnesses kept delivering to her front door. He appeared as a watery acrylic cartoon, always smiling, standing in the Garden of Eden amongst docile lions and bored giraffe. The Jesus that Dorah, the Zulu lady who worked for my family, seemed to know was different again. Him, I never saw. But I observed the demands he seemed to make on her and her friends. Their prayers and singing would last for twenty-four hour stretches, conducted at meetings by the side of a busy road. The traffic never distracted them; their Jesu took them into a trance. The plastic doll wrapped in an embroidered pillow-slip in my nursery school’s Nativity play had no such effect on anyone. A five-year old Mary looked down on that Jesus with impassive shyness. Another Jesus: the Born Again Christians I met as a teenager described something between a superhero and a benevolent phantom, hating terminal illness in a loved one or rescuing a man trapped in a car washed into a river during a flood. The cumulative effect of all these images of Jesus, layered one over the other, was to leave me with a bland figurine, in various cliched poses, of whom I had no sense whatsoever. So when I was approached to write a play about JEsus, my initial thought was: I have no idea who this man is. But then the more I thought about it, the more I realised that something odd had happened. 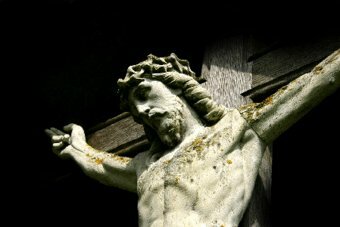 For all my disconnection with the figure of Jesus Christ, the stories about him, and his words, lived very vividly in my imagination – and always had done. I went back to the Bible and re-read the Gospels (emphasis mine). The more I read, the more clearly a figure – a man – started to emerge. He bore little resemblance to the Jesuses I’d previously envisaged. He was much more radical, provocative, brilliant and contradictory. Mainly, I was struck by how real he seemed. Not a cartoon, not a doll or an ethereal presence, but a very human being. An exceptional and strange human being, who, irrespective of questions of his divinity, merits being heard. Where I have emphasised Hurt’s account, is precisely the point that I found most interesting: To understand Jesus, he went back to the Gospels and read and re-read them. He wasn’t satisfied with the plethora of Jesuses from his childhood and previous experience, he wanted to get to the heart of the matter – and that led him to the Bible. In discussions with people who are opposed to the Christian faith, they will argue until the cows come home about Christ this, Christ that, but rarely has one actually done what Hurt has done, namely, actually read the Gospels.